When it comes to the most important day of your life, you just cannot beat renting one of our party buses. Just think about all of those big dresses that the bride and the bridesmaids will be wearing. That means you will be needing a lot of room and you will find it in one of our special vehicles. And in addition, you will find comfort when you need it the most. And think about it, why not have your entire group together for your special day, it will make things easier and there is no doubt that everyone will be on time. Everyone knows that getting married can be nerve racking but with all of your closest friends and family with you, the camaraderie will go a long way in bringing you through everything with a smile. And the amenities we have installed won't hurt either. If anyone needs refreshment, the bar areas will be readily available along with a premium sound system and large high definition screens with DVD capabilities if you find the need to reminisce about how you go to this point. Remember, this big day only comes once in a lifetime, why not make sure you do it in style and grace. We can help you do it right. Time is ticking and before you know it your wedding day will be here. 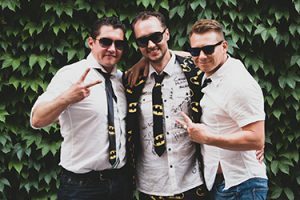 That means a lot of planning is going on and there is one event that you want to make sure you plan correctly and that is your bachelor party. There is nothing like getting together with your best buds and having an all out great time with each other. 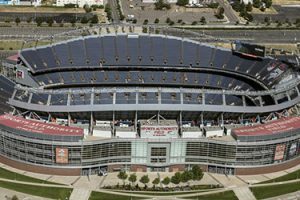 The Denver area has so many interesting places to visit whether it is outdoor activities or just the old night on the town routine. So, whoever is planning it make sure that two things happen. Number one, your favorite things to do need to be a part of the itinerary and number two, the list of invitees needs to be all people that you like a lot. Actually, there is a third thing that is a must and that is to book one of our amazing party buses for this very special event. Sure, you could carpool, but in the end, one of our outstanding luxury vehicles is going to be your ticket to making sure that the party never stops. Our professional drivers know the area very well and they may even have a suggestion or two for you. But the real star of the show will be the party bus you are riding in which has some of the most phenomemal amenities that you are going to find anywhere including a premium sound system, dancing pole for extracurricular activities, built-in bar areas and so much more. Believe us, this is the only way to truly go out with a big bang. 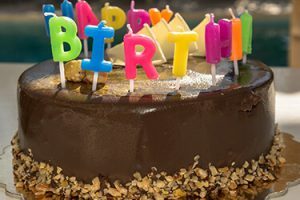 It's your birthday and that means that you need to plan to do more than just blow out some birthday candles. We know that you might not usually participate in any kind of celebration, but why not do something unusual this year. The Denver area has so many great venues to enjoy and the level of activity can range from something that is more laid back to a wild and crazy time. It is your job to sit down and decide what kind of birthday party you really want so start making a list of venues that look really good to you. Once your plans are in place and the guest list has been finalized, it will be time to decide your most important consideration: transportation. To up the ante for your big night, you need to book the perfect party bus from Denver Party Buses. What will one of our amazing vehicles do for your celebration? Much. Get ready for moving and grooving on board with a premium sound system with subwoofers, an exotic wood floor perfect for dancing and even a dancing pole, comfy wraparound seating for chitchatting, bar areas with built-in coolers of ice for stocking your favorite cold drinks, LED color changing lights for the best party atmosphere and more. Free free to bring a birthday cake on board and make memories with a special birthday moment. When you step off at the end of your big bash, you will feel good for a change about celebrating your special day. Denver and great sports are virtually synonymous. In terms of professional teams, you can have your pick from all four major sports. However, if you are more of a off the beaten path type of fan, you also have the option of a major league lacrosse team and a rugby team to root for. Whatever your sport of choice is, there is truly nothing like getting a group of friends together and having a day centered around one of your favorite activities. Take some time to kick back and plan our your day including what kind of food and drink everyone might want and whether you want to tailgate or enjoy a sitdown venue on your way to the arena. One of our fabulous party buses can take a day like this and up the fun to a degree that you might not have imagined. But when you think about it, who wants to fight all of that traffic heading in the same direction? Do you feel like spending a crazy amount of time searching for parking or trying to meet back up with all of your friends because you all had to carpool? What a thought to have our driver drop you off near the stadium and then pick you back up when the game it over. You can take some food on the party bus and enjoy the friendly confines or make a stop at one of your favorite establishments on the way to the game. And while on board, you and your friends will have bar areas with built-in coolers of ice to visit in order to sample one of your favorite libations. But that is not everything we have installed, you are going to have a blast with everything from a killer sound system to high definition flat screens. Now, doesn't this sound like the way to enjoy a sporting event? We think so too.